Lake Forest was founded together with Lake Forest College; it was laid out as a town in 1857, and was a stop for travelers making their way south to Chicago. The Lake Forest City Hall, designed by Charles Sumner Frost, was completed in 1898. 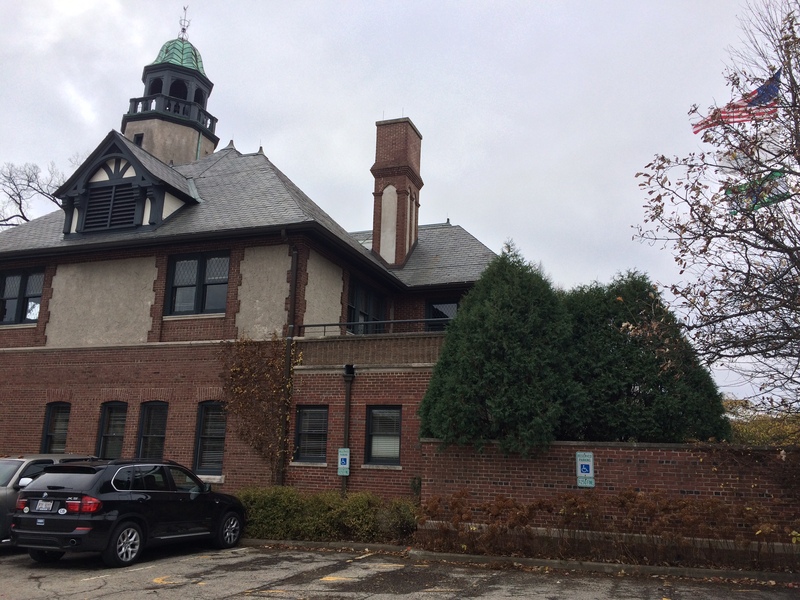 Marion Restoration Company was hired to complete several projects for City Hall. 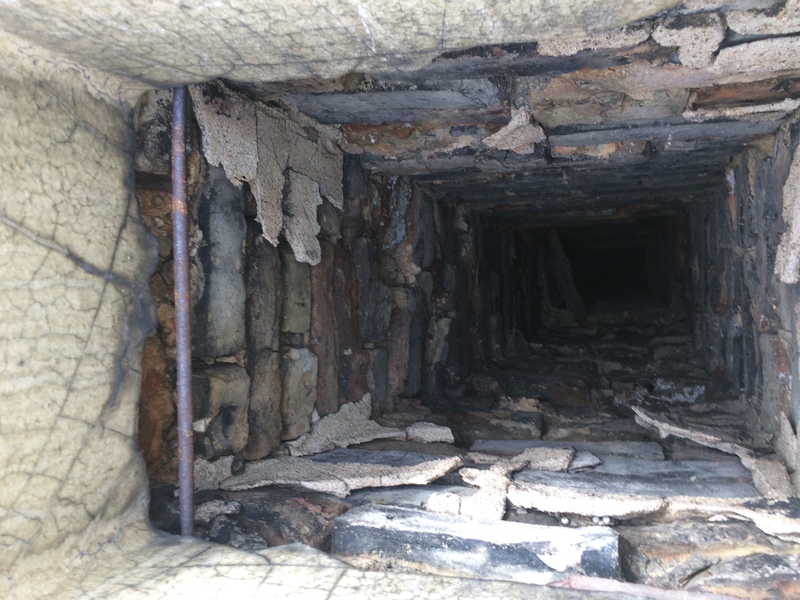 After a visual inspection we have identified that some inappropriate repair mortar was visible and could be exacerbating conditions. 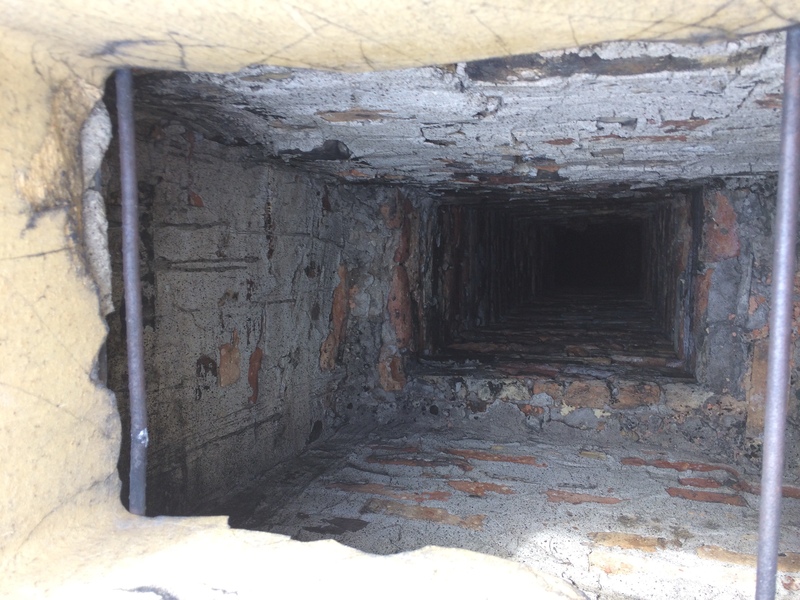 It had been confirmed that the chimney was originally constructed without a lining. Key components of this projects were cleaning the crack in the chimney cap, installing stainless steel pins to stabilize the concrete cap, cleaning moss and algae growth from the surface of bricks to be repointed, repoint 100% of joints from the top of the chimney down including the corbel, replacing common brick at center pier with salvaged historic brick matching the rest of the chimney, replacing the north elevation render 100%.